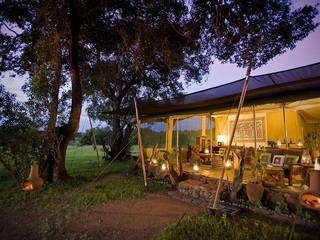 The Masai Mara boasts a bewildering array of small camps and lodges. Whilst the best of the bunch are well documented, their reputations don’t always translate into a sensible choice for families with children. What appeals to a safari connoisseur or honeymooning couple won’t necessarily work for a family. Here we pick out some of our favourite camps and explore the considerations that are unique to families and that should be taken into account when choosing a camp in the Masai Mara. #1. Swimming Pools: – A swimming pool is not essential on safari, and with a busy (but entirely pleasurable) schedule of game drives, walks, watering holes and sundowners, there often isn’t a lot of down time to enjoy it. However if you are on a prolonged safari (4 days and up), we find families welcome the opportunity for some down time by a pool between drives. Typically with a two or more location family safari, we will try and make sure one of the camps has a swimming pool. Decent camps with pools are relatively rare in the Mara, and are typically found in the bigger more commercial lodges and camps such as Keekorok and Mara Serena which we usually try to avoid. One of our favourite camps in the Mara with a swimming pool is Kichwa Tembo, given its comparative size, it can't compare for intimacy with the high end smaller camps in the Mara, but we find it far superior to the larger lodges in the area. #2. Driving time: – The Masai Mara covers a vast area and your location will heavily influence how much time you spend in the 4WD on access roads (i.e. getting to and from the main wildlife locations). Families will often find the prospect of a full day’s game drive a little too much. Staying at a camp right in the thick of it allows you to easily undertake morning and afternoon forays without too much back and forth. In the Masai Mara Reserve itself, Mara Serena and Mara Intrepids have very central locations and are perfect for families who want that bigger lodge feel with all the facilities that brings. However many camps in the adjoining private conservancies, such as Kicheche Mara and Speke's Camp also sit amidst prime game watching territory, that often serves up better sightings than the main reserve. One of our favourite camps in a private conservancy is the eight tent Kicheche Mara, arguably the best value high quality, small camp in the Masai Mara ecosystem. #4. Ambience: – Ambience is an important and yet intangible part of a safari. Feeling that you are somehow immersed and amongst the wilderness certainly adds to the overall experience, and the pampering and evocative atmosphere of a good camp is something you can get very used to. This doesn’t usually come cheaply though and families will need to beware spending a fortune to stay somewhere full of honeymooning couples. Generally speaking it is this ambience and atmosphere that you trade off when you look at the budget options in the Mara. Kicheche Mara and Karen Blixen Camp are both small camps in private conservancies with superb service, lots of roaring fires and evocative sunsets, but where the focus is still very much on the wildlife. #5. Family sleeping arrangements: (large tent or adjacent and parents split?) Most camps will accommodate families in separate tents. Given most parents with younger children probably won’t feel comfortable leaving their children in their own tents, they often end up with the parents splitting themselves across the tents. Camps with larger tents sleeping a whole family therefore make a lot of sense. Several camps have family tents, including Mara Intrepids whose two bed-roomed family tents include a spacious lounge and an outside deck. Mara Intrepids also has a swimming pool, great location in the heart of the Reserve (meaning less time on access roads) and children's Adventurer program. #6. Children’s Activities: Don’t read too much into the children’s activities offered by some camps. They are a nice touch, but in reality a decent guide will bring these kind of activities alive to children through the course of a normal safari and not as part of an organised pre-arranged activity. If nothing else though, they are a good indication of a lodge or camps enthusiasm towards hosting families. Mara Intrepids is renowned for its highly regarded kids Adventurer's Clubs and is a great choice for families for its great location, friendly service and nice pool. #7. Family value in the Mara: Differences in rates make a lot of difference when you are multiplying by four or five. Camps typically offer children’s rates between 50-75% of adult rates and it is very helpful knowing which camps offer the best children’s discounts. 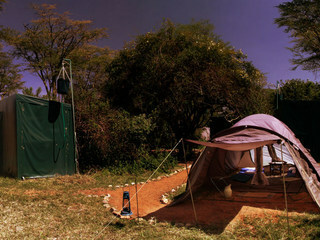 We usually find Speke's Camp offers a fantastic mix of value, superb guides, safari atmosphere and location. If budget is really tight, then the budget options such as Mara Springs Tented Camp and our Temporary Migration Camp make sense, what you are really trading off here is the traditional safari atmosphere of roaring fires and candle-lit ambience. As ever no camp aces every category. We like Kichwa Tembo because it offers a good balance of value, location, service and has a lovely pool area that the whole family will love. It works really well when combined with a stay at a smaller wilderness camp. We are also big fans of Gamewatchers Adventure Camps, which offer fantastic prices for a superb wildlife experience in the heart of a lightly trafficked area rich with game. They cut back a lot of the frills but leave most of the core features in at a rate nearly half of most of the other camps mentioned in this article. Kicheche Mara and Speke's Camp are both superb products which would undoubtedly be at the top of our lists for families in the Mara if it weren’t for the lack of a swimming pool. But for many families that won’t be an issue.